Diagnostic Laboratory in dermatology are directed to the detection of bacterial, viral, mycotic pathogens and verification of the diagnosis. Diagnosis includes microscopy scrapings, skin tests; identification of viruses by immunofluorescence staining; isolation of pathogens in cell culture (bakposev) and cytological, biochemical, immunological, hormonal, serological, histological, PCR and other tests. Now been developed great number of ways to immuno-allergic patient examination, including the the most modern methods of diagnosis of allergies. However, the problem at all one - allergen detection and treatment of allergies. In each case the doctor allergist-immunologist selects a special method of diagnosing allergies and is an individual plan of inspection. Special dermatological research methods are non-invasive and invasive: palpation, vitropression, definition isomorphic reaction dermographism, reflex muscular-hair, skin testing, dermatoscopy, histological and histochemical study of biopsy of the skin lesion. The laboratory survey methods of dermatological and venereal patient include common (blood, urine, gastric juices, feces on eggs of worms, X-ray of the chest, etc.) and special (serologic, microscopic, pathological examination). When the diascopy, by glass plate pressed against the skin area, that helps the study of elements whose color is masked by reactive hyperemia inflammation. This method allows you to determine, for example, elements of lupus, which at diascopy acquires a characteristic brownish-yellow color. Non-invasive study include dermatoscopy and dermatography. At a dermoscopy with using 20-fold increase over a layer of liquid oils can look at skin elements, especially in the differential diagnosis of pigmented lesions. Dermatography based on ultrasound layers of the skin and subcutaneous tissue. With this method it is possible to judge the depth of the primary and secondary elements, the effectiveness of the therapy, the water content in the skin and many other parameters. 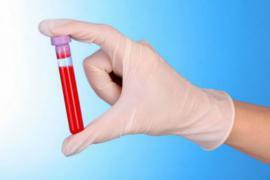 In order to confirm the diagnosis of allergic diseases is widely used skin tests (tests). There are cutaneous tests (intraoral) and intradermal (intradermal). Most often used the application test or spot test. Skin and intradermal reaction with tuberculin is used in patients with tuberculosis skin lesions. The result is considered a positive response in the event of long breeding tuberculin. Intradermal tests with fungal filtrate and vaccines used in some dermatomycosis, although sometimes there are non-specific positive results. To patch testing with possible food allergens (eczema, atopic dermatitis and others.) Rarely used in dermatology. Usually conduct the clinical observation over the patient, by limiting causally significant food products. At suspicion on syphilis make the complex of serological reactions (reaction immobilization pale treponem, immunofluorescence, passive hemagglutination reaction). Widely used bacterioscopic and bacteriological study. Accurate diagnosis shows the biopsy the affected area of the skin, mucous membrane, or morphological element with histopathological examination of the obtained material in a number of dermatoses (lichen planus, granuloma annulare, leprosy, urticaria pigmentosa, skin tumors). For the diagnosis of dermatitis, in the pathogenesis of which a certain role belongs to the autoimmune mechanisms, is used immunological methods, such as indirect and direct immunofluorescence. External respiration function (ERF) for the determination of bronchospasm.